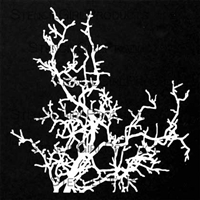 that use stencils in encaustic painting! I love adding marks, lines, and patterns especially with StencilGirl® stencils because they are easy to clean and hold up nicely with heavy use and heat of the hot encaustic wax. If you have never painted with encaustic before, it is purified beeswax mixed with damar resin which is used to harden the wax over time. Any pigments can be added except for acrylic based products because of their plasticity. 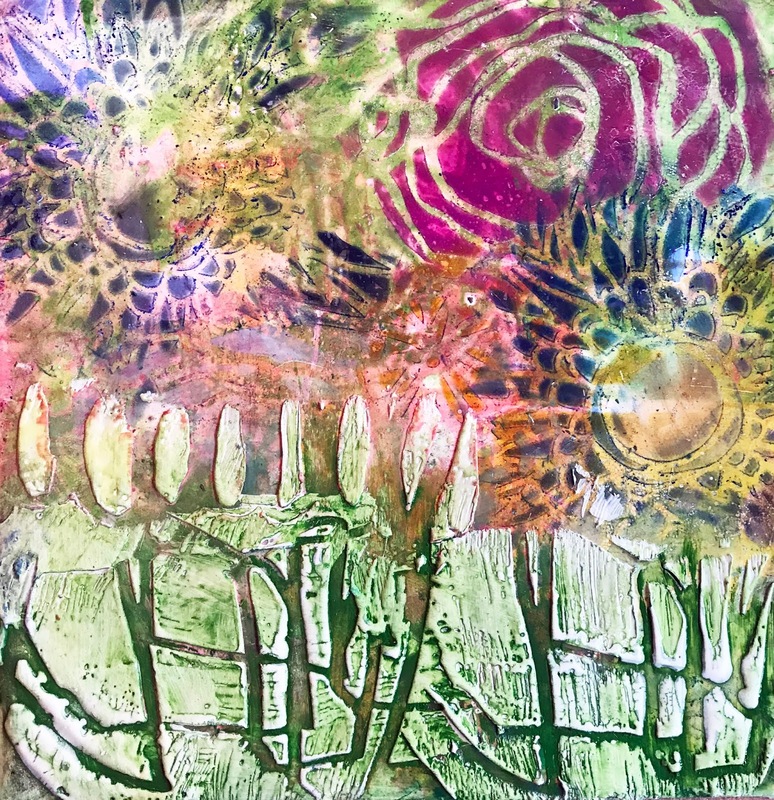 There are a variety of ways to create with stencils on the encaustic surface. To begin I paint 3 layers of white encaustic paint onto hard boards primed with encaustic gesso. 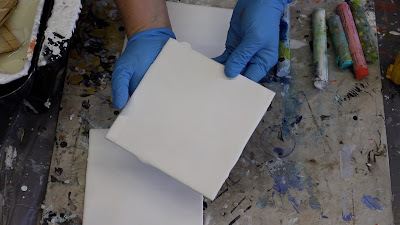 You can also use primed encaustic boards by Ampersand. heat) to the layer below to form an archival bond. 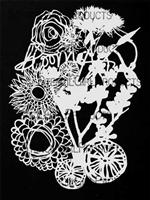 The best way to begin when you are adding stencils is to fuse those first layers of wax very flat so that you can get all those great marks onto an even surface. 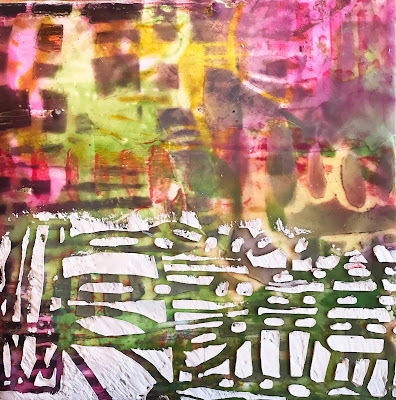 I like to build up rich layers of patterns, marks, and colors on the encaustic surface so that you can peer back through the layered history of a piece and view bits and pieces that reveal themselves in all of the previous layers. The dreamy translucency of the beeswax allows this to be possible. 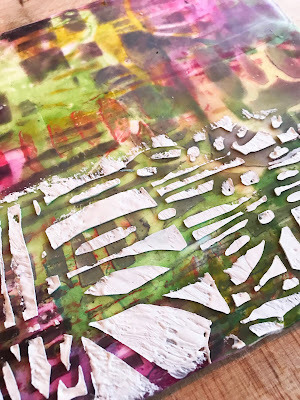 Great textures can also be added with stencils and encaustic paint! 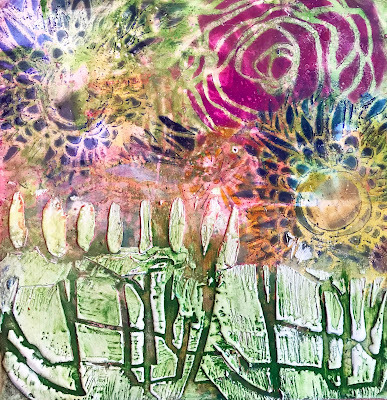 In the following video, I show multiple ways that you can incorporate and apply StencilGirl® stencils in super fun ways to your encaustic painting process. Never tried encaustic? Come on in! It’s highly addicting! 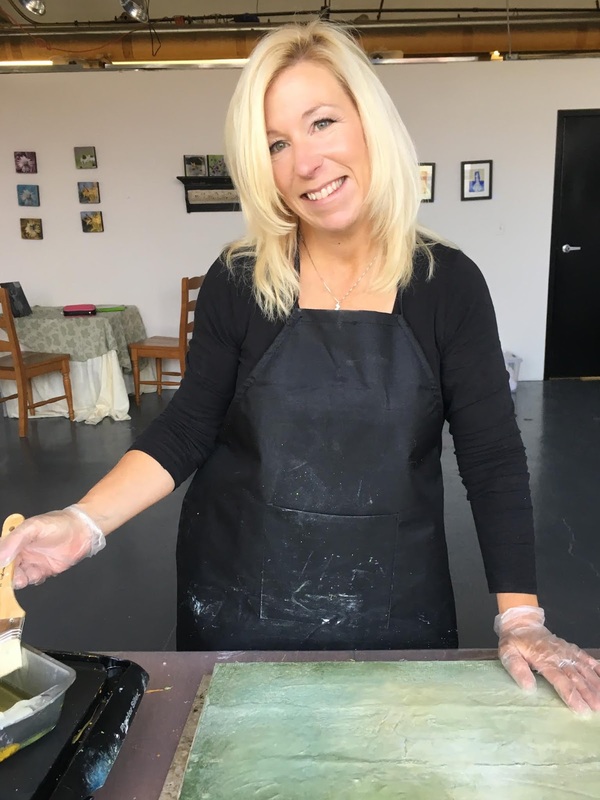 Shari Replogle’s Encausticology studios are in Downtown Cincinnati. Amazing! Love the colors & technique. Facinating video, Shari. Thanks for sharing those techniques. Encaustics intrigue me, but I'm not ready to go there yet. Your video inspires me, though! Really enjoyed watching you work! The end results were fabulous! 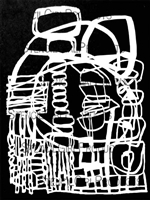 How do you clean your stencils after using the encaustic wax over them? 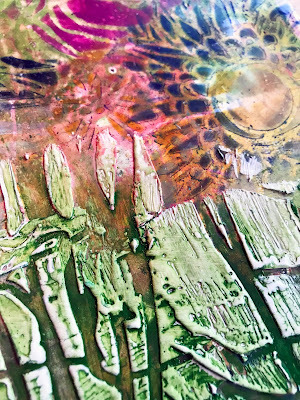 Do you use just plain boards or encaustic boards? These are awesome! Hi Tracy, thanks ! For these practice boards I am using plein air type masonite boards that both Blicks and Ampersand make. I love encaustic board by Ampersand ! I also use cradled birch boards on larger works. Wow, really inspiring! 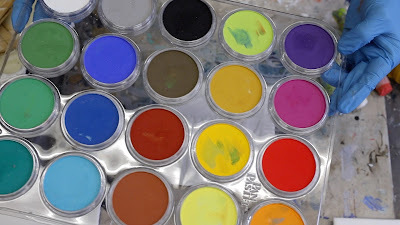 Now I want to go get my griddle and encaustic paints out!